Hi, I'm Heather from Brie Brie Blooms. I started A Couple of Craft Addicts a couple of years ago with my good friend Jessica and I just recently started the Brie Brie Blooms blog. There I share everything in my life that started with a baby including kids crafts, snack ideas, parenting tips, and everything in between. I have been a Pinkapotamus fan from the very beginning and am honored to be here visiting! 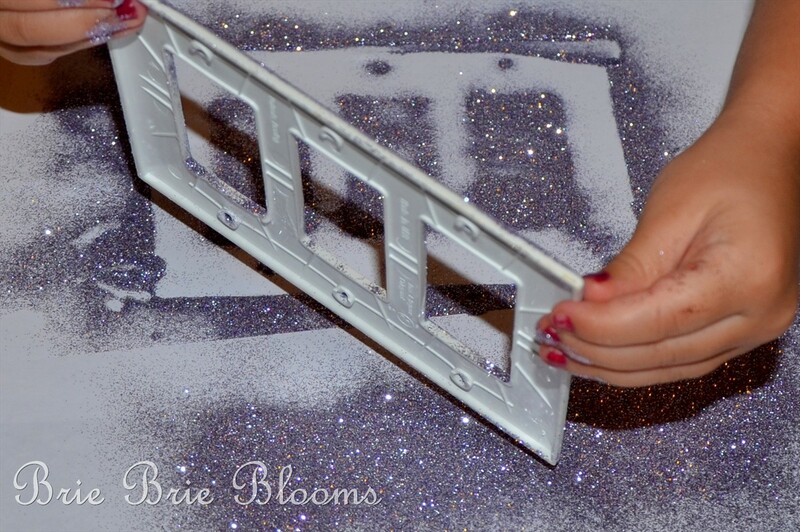 Today I'm sharing a fun and easy craft that will add a little sparkle to any room. My daughter is three years old and we are in the process of transforming her bedroom into a princess themed room. 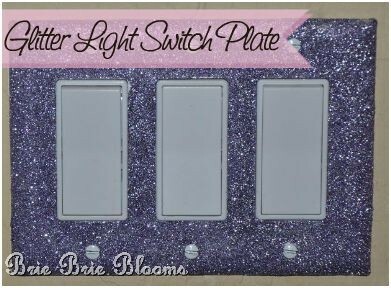 I was bored with the plain white light switch plates but I didn't want to buy anything new. 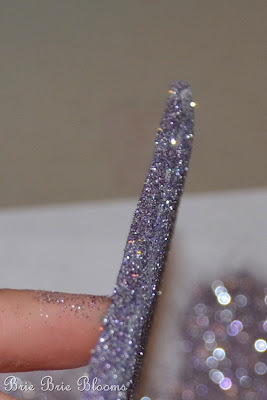 Instead I took the old ones off and let my daughter help add some purple glitter. 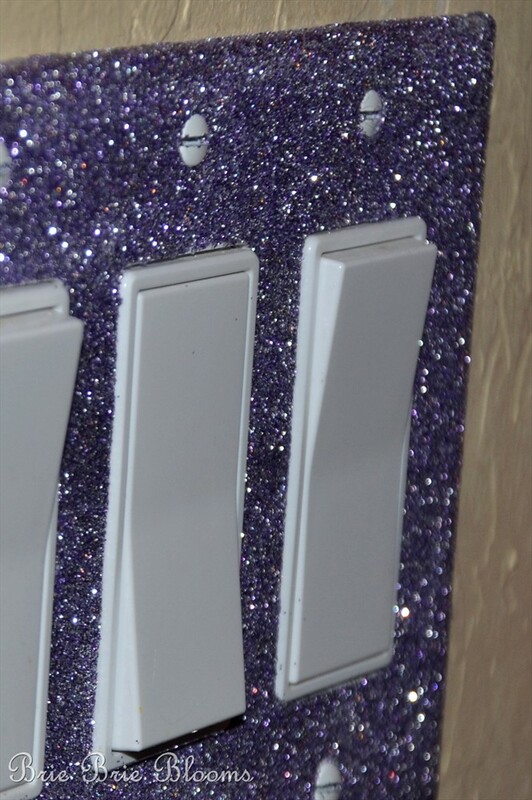 Perfect for a princess room! My daughter had fun applying the first coat of Mod Podge to the light switch plate. She had even more fun sprinkling on the glitter! 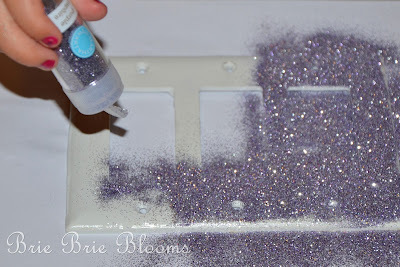 Be sure to gently tap off all the excess glitter before the Mod Podge dries. 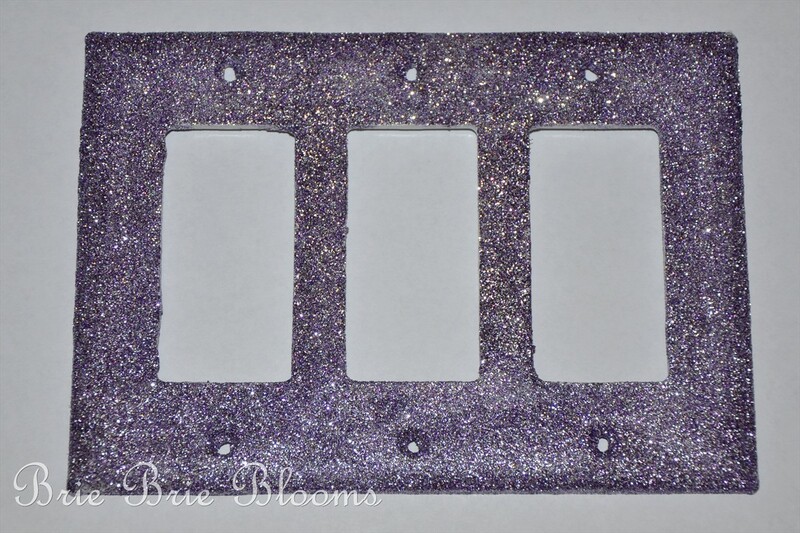 My daughter did a great job covering the entire plate but I had to add glitter to the outer edges. 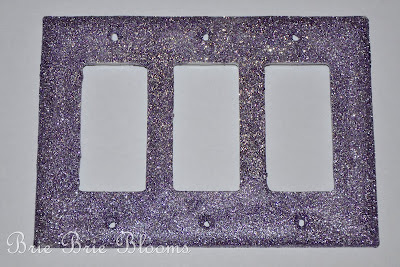 Depending on the color of glitter you use you may need to apply a second coat of Mod Podge and glitter after the first coat dries. Wait a couple of hours and then spray a thin coat of sealer to the top and edges. 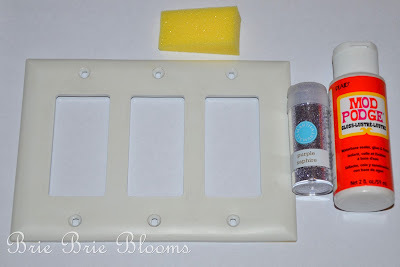 Allow the sealer to completely dry and then hang your light switch plate back on the wall. 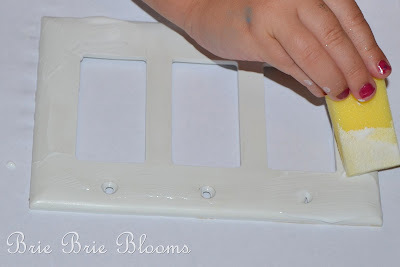 This was an easy and very inexpensive way to dress up my daughter's bedroom! 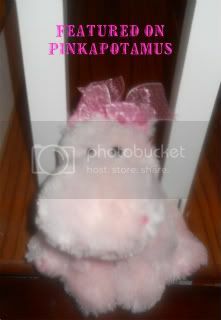 Thanks to Pinkapotamus for letting me stop by. 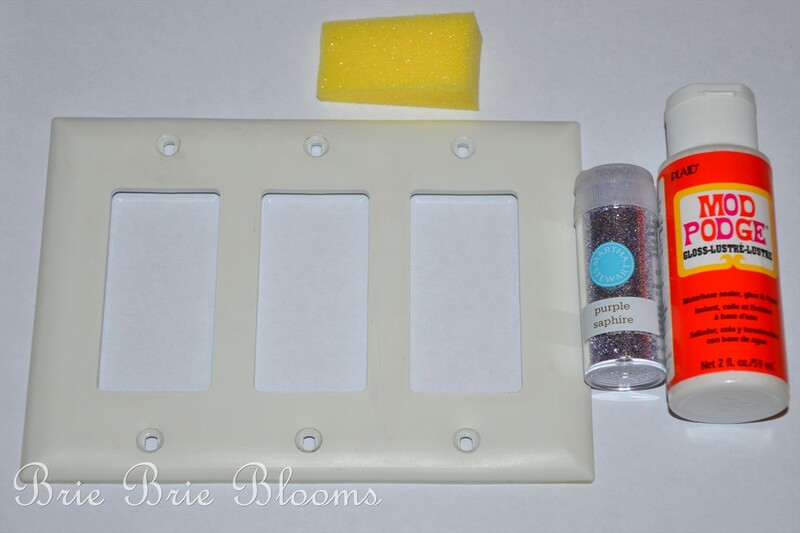 If you want to see more of my fun projects, please visit me at Brie Brie Blooms! Oh my, love this!! I'm pretty sure I am going to do this for my creative room. Thanks for sharing! Is the glitter coming off at all? I did this with another type of glue & it doesnt come off, but its extremely hard to work with so I was just wondering. I Like Old Shutters and I Cannot Lie! Pink Hippo Party #96 and Giveaway! Want to BE a BLOG ANGEL? Here's Your Sign.. First Day!